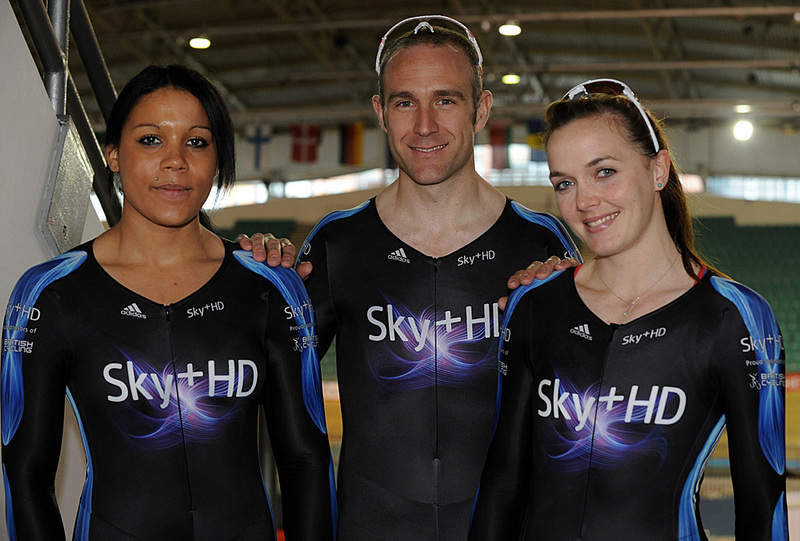 British Cycling and Sky unveiled the new Sky+HD Trade Team kit on Wednesday October 29 at Manchester velodrome. Team members Jamie Staff, Victoria Pendleton, Shanaze Reade, Ross Edgar and Jason Kenny were on hand to model the new attire. Unfortunately the sixth member of the team, Chris Hoy, was not able to appear due to other commitments. The Adidas manufactured skinsuits are a black base colour with bright electric blue light trail details that feature on the chest, arms and legs.The trials down the arm and leg give the impression of you looking in on the muscle fibres at work. 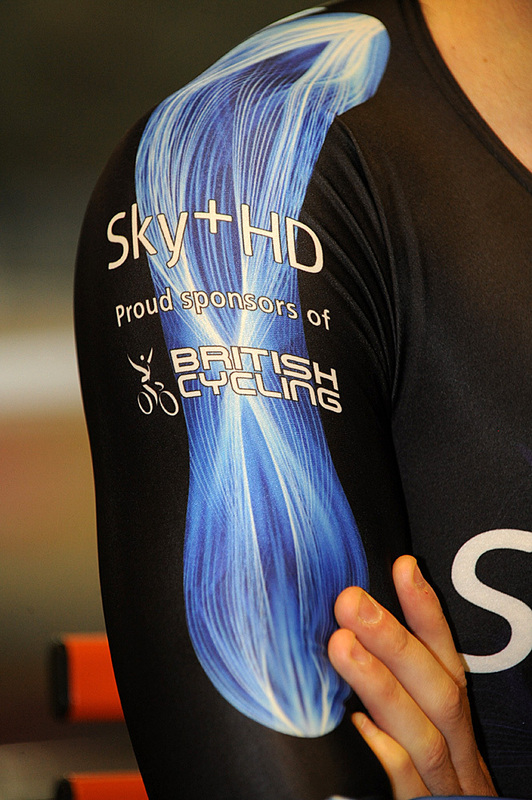 The Sky+HD wording appears on chest, legs and arms with the added wording “Sky+HD Proud Sponsors of British Cycling” on the upper arm. The press launch coincided with the build up to the weekend’s UCI World Cup Track event at the venue and four of the riders present, Jamie Staff, Jason Kenny, Ross Edgar and Victoria Pendleton will all be competing in the new look kit for the first time. Sprinter Jamie Staff was on hand to give a response to the Sky sponsorship. “Having Sky+HD on board is fantastic. Traditionally a lot of the endurance team might ride for a trade team so they have extra money or a salary outside of the track. But the sprinters generally don’t, so it means now we get paid a salary. 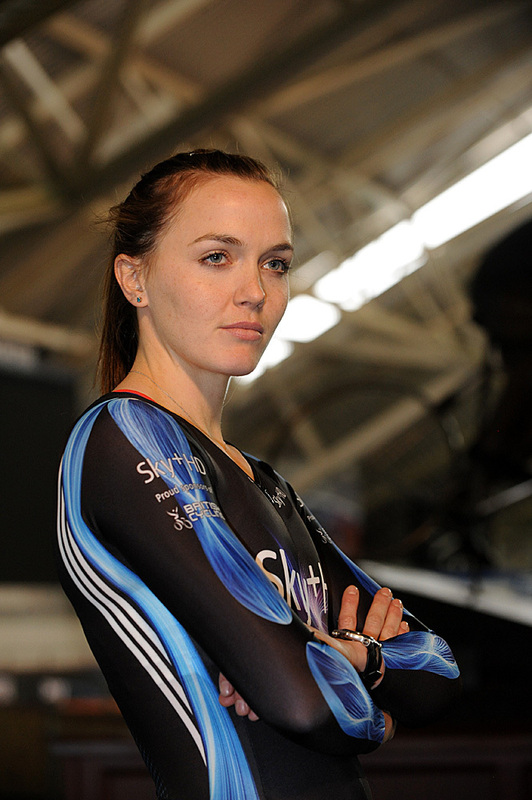 Finally we caught up with Victoria Pendleton who talked about what the Sky partnership meant to her. 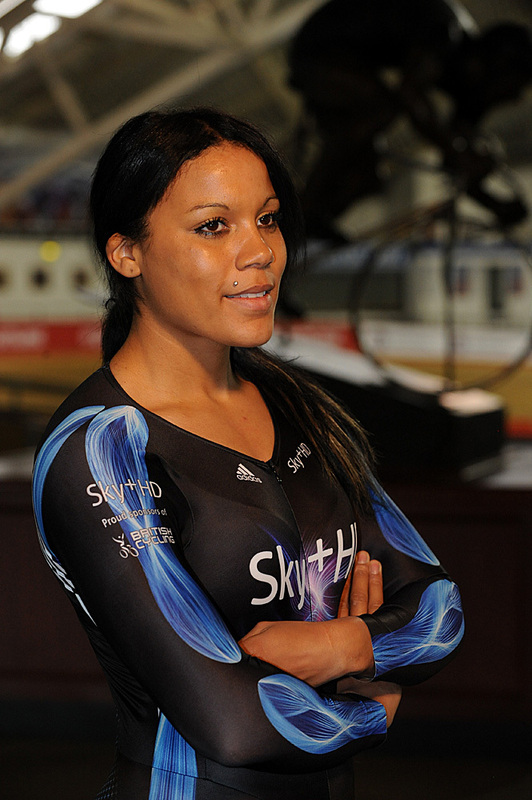 “Sky being as big as it is and the kind of people who are aware of the brand, which is pretty much everybody who watches any kind of sport on TV, will hopefully get a bit of the track cycling bug. Questions then focused towards the weekends events in the World Cup, “It’s always really enjoyable to compete in a World Cup,” responded Pendleton and continued, “But being the first of the season it’s, in some respects, a bit of a nightmare for me. Just because I’ve not had time to go back and do the base training, the kind of training I’ve done over the last three years that kind of guarantees me a certain level of form. “Not having that now is a little bit scary. It’s been a contingency training plan rather than what I’d ideally like to have done going in to a major competition. With the gap between the Games and the World Cup it’s not enough time to put in the heavy strength training and base miles, because I’d have no speed right now. 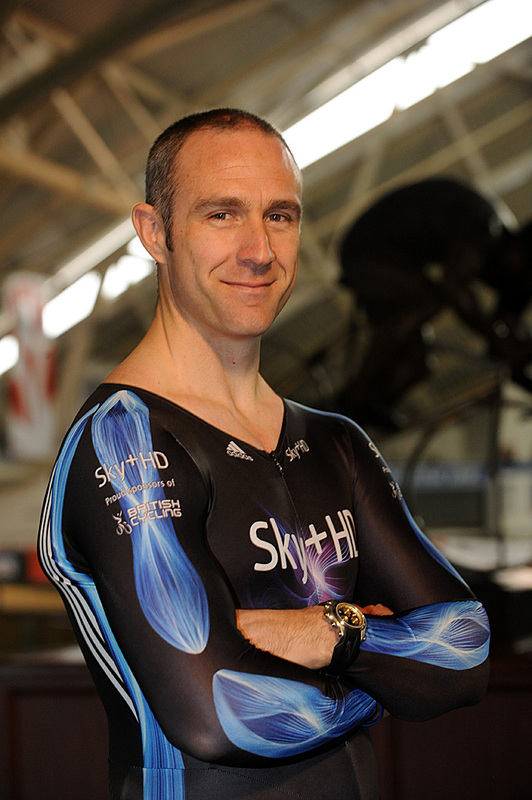 Sky made their announcement of becoming the principal partner with British Cycling back in July of this year. The announcement of the Sky+HD Trade Team is part of the top end of the sponsorship deal which encompasses all forms of cycle sport from grass-roots up to elite level. The elite trade team can be seen as the pinnacle of achievement and something to aspire and work to. Manchester World Cup preview: Who’s riding for Britain ? and in which event?